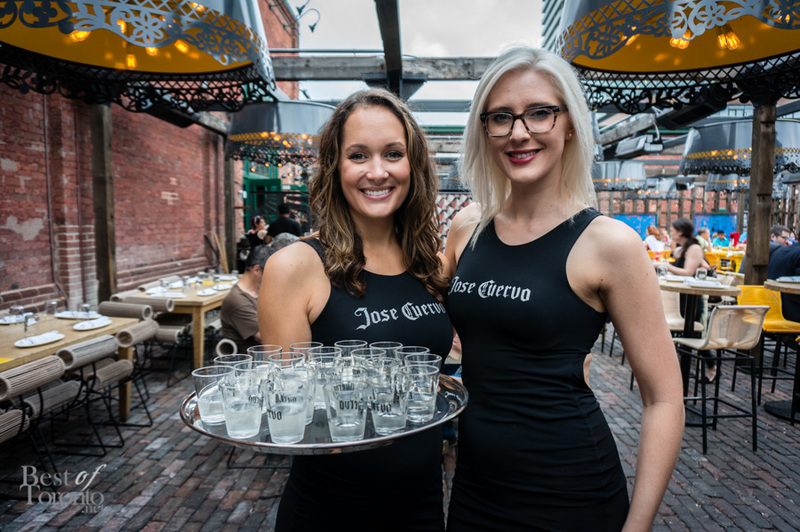 With patio season at our doorsteps, Proximo Spirits Canada wanted to usher in the summer in style by hosting an exclusive tequila tasting at El Catrin in the Distillery District on May 27th. Upon arrival, we were immediately greeted with a refreshing glass of margarita. 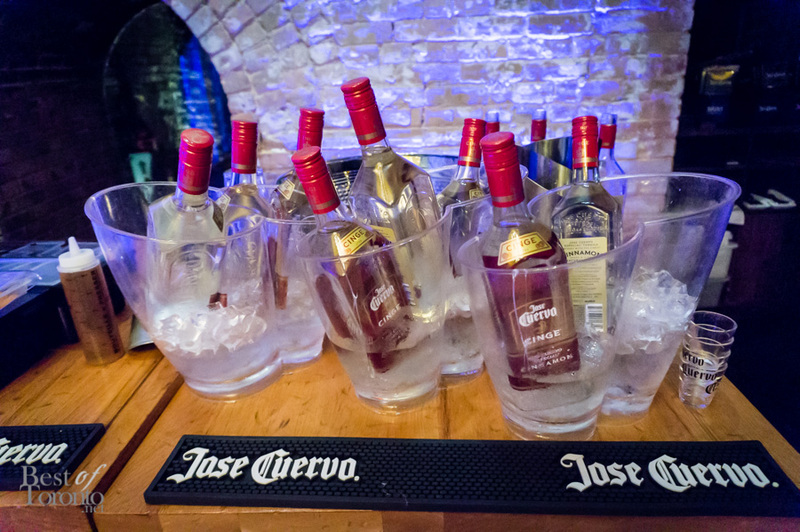 The purpose of this industry night was to promote the various tequila brands of Proximo Spirits, ranging from Maestro Dobel to 1800 Tequila, with a focus on the Jose Cuervo brand in particular. According to Proximo Spirits General Manager, Peter Hottman, the tequila-based margarita is one of the most popular cocktails in the United States, and the aim is to make it just as popular here in Canada. Among the notable guests of the night was the gorgeous and newly crowned Miss Universe Canada, Chanel Beckenlehner. The honoured guest was world-renowned tequila expert, Sonia Espinola de la Llave. 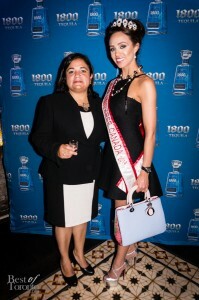 She flew in especially for this event to promote and speak about the history of some of Jose Cuervo’s tequilas. de la Llave began work at Jose Cuervo in 1997, and helped create “Mondo Cuervo”, a tourist destination in Tequila, Jalisco, Mexico, where visitors can experience Mexican food, heritage, and tequila in an authentic setting. The first tequila we tasted was the cinnamon flavoured Jose Cuerve Cinge Tequila. However, the star of the night was definitely the limited edition Jose Cuervo 250 Anniversario Tequila (cover image). Tasting was done in small intimate groups led by de la Llave. We learned that this tequila was created to commemorate the anniversary of King Carlos of Spain granting Don Jose Antonio de Cuervo the first plot of land to cultivate agave in 1758. The beautiful bottle, encased in a solid oak box, is decorated with leather accents and individually marked with a number, as there were less than 600 bottles produced. This $3,000 a bottle tequila was extremely smooth, bold, and complex in flavour, and it was a great privilege to take part in this tasting.